The son of & Wesleyan Minister said a few years ago, "I remember my father telling me that he was once standing in the aisle of City Road Chapel, during a conference in Wesley's time. Thomas Olivers, one of the preachers, came down to him and said,'Look at this; I have rendered it from the Hebrew, giving it, as far as I could, a Christian character, and I have called on Leoni, the Jew, who has given me a synagogue melody to suit it; here is the tune, and it is to be called Leoni.'" This hymn comes from a Jewish creedal doxology that is sung during the Sabbath eve service every week in some traditions. Thomas Olivers made a Christological translation around 1770, from which these stanzas are taken. The hymn begins by praising God for His might and power, as displayed through His relationship with His people, and ends by looking forward to when all the people of God will join in everlasting praise around the throne of God in heaven. In the twelfth century, Moses Maimonides wrote a Jewish creed in thirteen articles in Hebrew. In the fourteenth century, a Jew from Rome (probably Daniel ben Judah) formed a metrical version, the Yigdal. 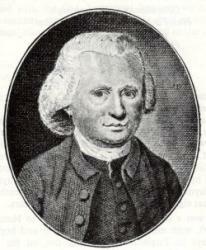 Around 1763 or 1770, Thomas Olivers heard the Yigdal chanted in the Great Synagogue of London, and he wrote a deliberately Christianized translation of that text in twelve stanzas. This translation was published in an undated pamphlet around 1772. Another shorter translation of the Yigdal was made by Max Landsberg and Newton Mann in 1885, which is a different hymn, though some hymnals replace their first line with that of Olivers. Of the original twelve stanzas, three are never used, and modern hymnals typically contain four to six of the remaining nine. 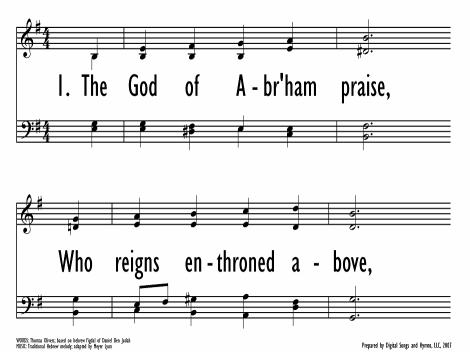 The first (second line “Who reigns enthroned above”) and fourth (beginning “He by Himself hath sworn”) are always used in modern hymnals, and the twelfth (beginning “The whole triumphant host”) is usually included. The tenth (“The God who reigns on high”) and seventh (“There dwells the Lord our King”) are usually included, and the remaining stanzas only occasionally. The text is rich with scriptural allusions, such as Exodus 3:14 in the first stanza and Revelation 4:8 in the last. Most of the stanzas focus on praising God for His power and guidance, and the ending stanza or two looks forward to when all the people of God shall worship before His throne in heaven. 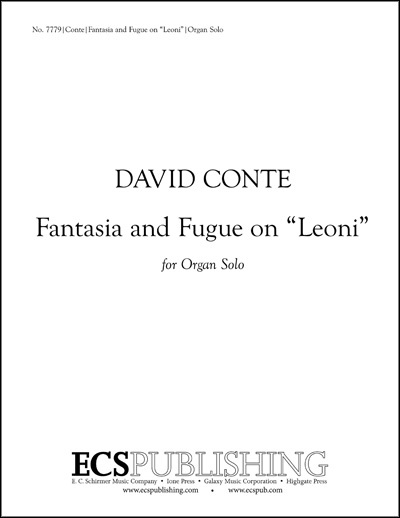 LEONI is a Hebrew synagogue melody. It is also called YIGDAL after the original Hebrew name of the text. The name LEONI comes from Meyer Lyon, a Jewish cantor who transcribed the tune upon Olivers' request. The tune begins in a minor key and modulates to the relative major halfway through. However, it returns to the opening minor key by its close. This tune works well when sung in unison, with a firm backing from the accompaniment. Keep a moderate to quick tempo to stay with the mood of exaltation. 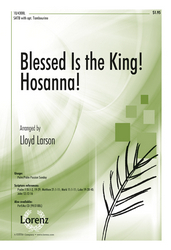 This hymn may be used any time a hymn of praise is wanted. A quiet instrumental setting would make a good prelude as the congregation prepares to praise God. 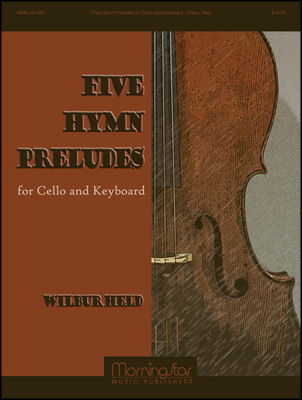 For this Jewish melody, string instruments make an excellent choice, as in “God of Abraham Praise” for violin trio or the setting of LEONI in “Five Hymn Preludes for Cello and Keyboard.” For a rousing postlude to a jubilant service, Michael Burkhardt's organ arrangement of LEONI in “Praise and Thanksgiving, Set 3” has lots of melodic interest. Display Title: The God of Abraham praise First Line: The God of Abraham praise Tune Title: LEONI Author: Thomas Olivers, 1725-1799 Meter: 66 84 D Scripture: 1 Corinthians 13:12; Daniel 7:9; Exodus 3:6; Exodus 3:14; Genesis 22:16; Isaiah 40:31; Psalm 16:5; Psalm 61:3 Date: 2000 Subject: Faith, Trust and Commitment | ; Grace and Providence | ; Joy, Praise and Thanksgiving | ; The Pilgrim Community | ; Year A | Easter 2; Year A | Proper 17; Year A | Proper 8; Year A | Trinity Sunday; Year B | Christ the King; Year B | Lent 2; Year B | Proper 1; Year B | Second Sunday Before Advent; Year C | Epiphany 4; Year C | Proper 8; Years A, B, and C | Ascension Day Source: Hebrew "Yigdal"
Display Title: The God of Abraham Praise First Line: The God of Abr'ham praise Tune Title: YIGDAL Author: Thomas Olivers, 1725-1799 Meter: 6 6 8 4 D Date: 2006 Subject: Praise, Thanksgiving | ; Heaven | Source: Yigdal, c. 14th cnet. Display Title: The God of Abraham Praise First Line: The God of Abraham praise Tune Title: LEONI Author: Daniel ben Judah; Thomas Olivers Meter: 66.84 D Source: The Yigdal of Daniel ben Judah, a Jewish judge in Rome, circa 1400; first appeared in The Gospel Magazine, April 1775. 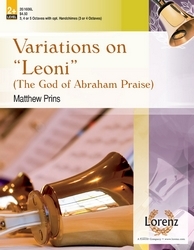 Display Title: LEONI First Line: The God of Abraham praise, who reigns enthroned above Tune Title: LEONI Author: Thomas Olivers Meter: 6.6.8.4. Date: 2012 Source: From the 1842 Millerite "Millennial Harp" and every adventist hymnal since. Display Title: The God of Abraham praise First Line: The God of Abraham praise Tune Title: LEONI Author: Thomas Olivers, 1725-99 Meter: 66.84 D Scripture: Exodus 3:5-16; Hebrews 6:13-20; Isaiah 6:1-5; Isaiah 40:25-31; Revelation 1:1-6; Revelation 4:5-8; Revelation 4:9-11; Revelation 5:11-14; Revelation 7:2-10; Revelation 21:5-8 Date: 1999 Subject: Atonement | ; Faithfulness of God | ; Grace | ; Humility | ; Mystery of God's Love | ; Name/s of God | ; Patriarchs | ; Pilgrimage | ; Providence | ; Worship | Earthly and Heavenly; Worship | Processional Entrance Source: Jewish Yigdal c. 13th cent.